Today see the release of a pair of new installments in our complete reprintings of classic pulp superhero series: Dusty Ayres and The Moon Man. Each paperback edition is discounted until October 15 and domestic orders of $25 of softcovers gives you free shipping. So what’s the hold-up? Order now from altuspress.com. 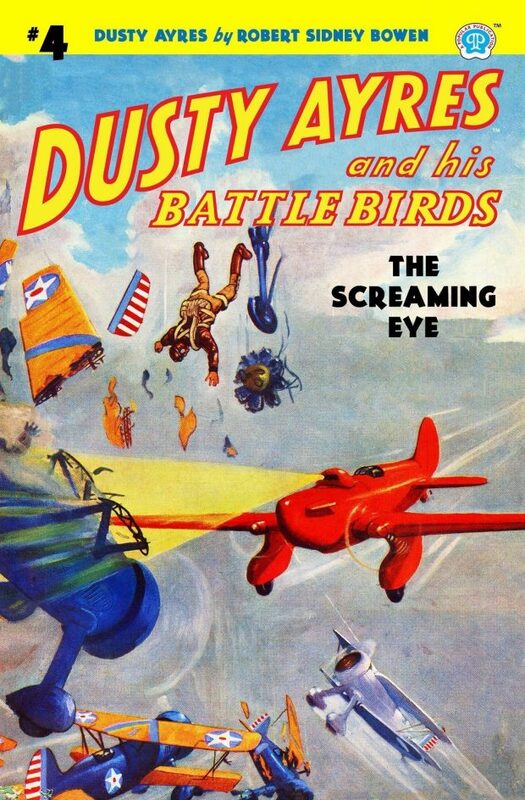 One minute those Yank ships were zooming up toward that crimson plane. The next, they were tumbling earthward, shattered wrecks: their pilots dead! What was the strange green ray that had destroyed them? Death stalks America as Dusty Ayres sets out to hunt the most gigantic weapon of doom ever launched against the world! 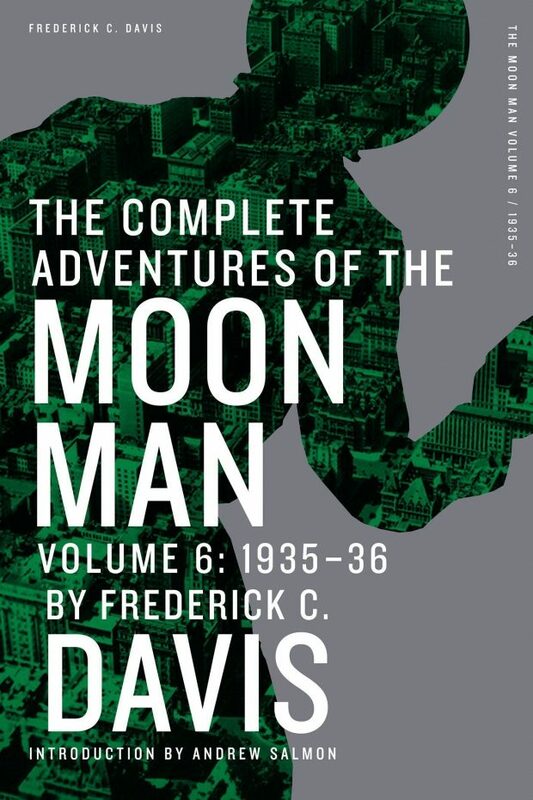 From 1933–37 pulpsmith extraordinaire Frederick C. Davis chronicled the adventures of the classic pulp hero the Moon Man in the pages of Ten Detective Aces. One of the most unique and compelling characters in the history of the genre, the Moon Man was the Robin Hood of the pulps: He stole from those who profited from the misery of the Depression to help those in need, to balance the scales of justice. And justice was close to the Moon Man’s heart. For the Moon Man was actually police detective Stephen Thatcher—a dedicated law officer all too familiar with the cracks in the system criminals used to avoid retribution. Donning a black robe and a globe of Argus glass, Thatcher became the Moon Man, a thief who stole from criminals the law could not touch. Now the Moon Man is hunted by his best friend and partner, reviled by his father and fiancé who all want to see the masked thief pay the ultimate price for his crimes. Stephen Thatcher must walk the razor’s edge of his double life where, every minute, the threat of exposure could shatter his fragile world. For the first time in decades all 38 of the Moon Man’s exploits have been collected by Altus Press in a seven-volume set.